This is the moment many of you have been waiting for. 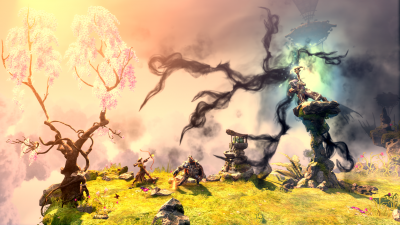 We’re happy to announce that the Trine Series 1-3, developed by Frozenbyte and published by GameTrust, will be released with all three games on one Nintendo Switch game card during this spring! The collection is available for pre-order today exclusively at GameStop stores and online for $39.99. 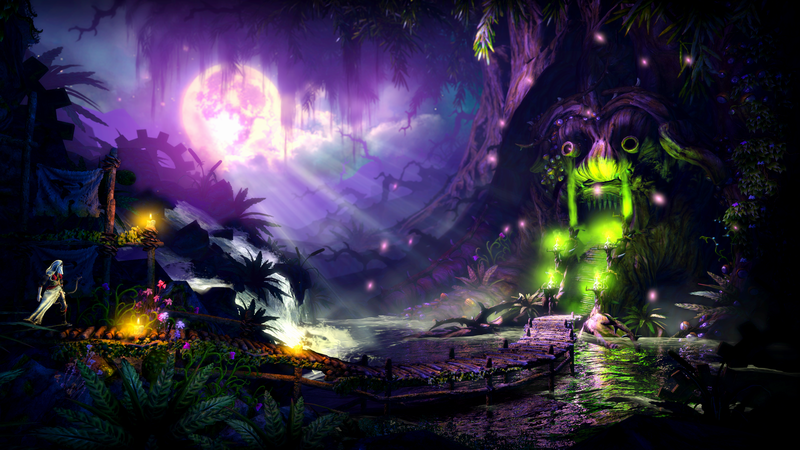 The game card includes Trine Enchanted Edition, Trine 2: Complete Story and Trine 3: The Artifacts of Power. Now you have a great chance to revisit the Trine series or play any games you might have previously missed. Our three heroes, Amadeus the Wizard, Pontius the Knight, and Zoya the Thief await eagerly for your adventures together. 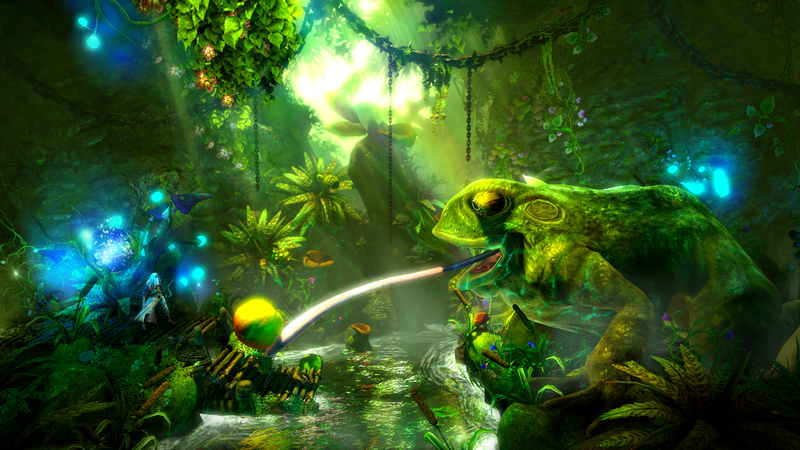 If you can’t wait for the physical game card, you can also head to Nintendo eShop on February 18th to pick up the digital version of Trine 2: Complete Story. 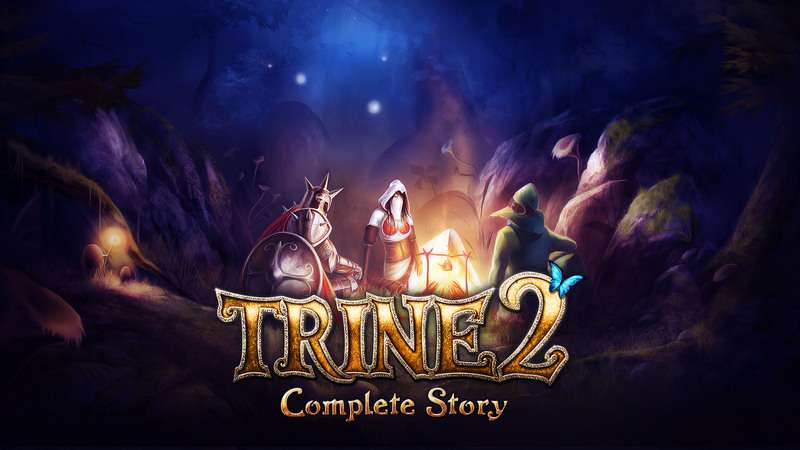 In Trine 2: Complete Story Amadeus, Pontius and Zoya travel through dangers untold in a fantastical fairytale world of tragic princesses and wicked goblins. Physics-based puzzles await them in wondrous environments, can you help them to clear their path by using fire, water, gravity and magic? Hi friends, I’m from Barcelona, where i can get the game in europe? Gamestop don’t sell games here. Great to see this. Looking forward to it! I won’t get it, I hate digital versions. Hopefully you will still get the physical bundle! Very unfortunate that the phyiscal relase is a Gamestop exclusive. Well, but the solution for me is easy then – i won’t but the games at all. Sorry to hear, but thanks for checking them out! We have enjoyed working with GameStop so it’s likely that our partnership continues. What resolution/framerates do the other console versions run at? Short answer is as good as possible. We aren’t exactly keeping a list, but I did find this article. If you have other questions I’ll gladly ask those from the team. However please also note that also other things effect the experience. Such a shame we, European gamers are getting ignored. I know that if we really want to, we can ship the physical version, but this just doesn’t feel right. However we’re still looking into the release in Europe, so hopefully we can make that a reality as well. Also thanks a lot for your support, even if you don’t buy the game! I’d like to inquire whether or not the game will be available in gamestops outside US like, for example, finnish or swedish Gamestops? I suspect I will aim to get my hands on the physical copy somehow regardless of your answer as I sincerely wish to support Frozenbyte as well as I can. This is not sure yet, but we’re looking into the European release. So, hopefully! I’m living in Australia. Any chance the physical version will be released here? I’ve been waiting for this for a lifetime…. Can’t promise this but we’ll look into it. Unfortunately the physical version of Trine Series 1-3 for Nintendo Switch is only available through GameStop as it is published by GameTrust. Is the physical form of the game also hitting the gamestop in europe (austria or germany) ? Im here in Austria and did‘t find it on the website. I don‘t have access to the gamestop us store but i want this physical copy 🤩. I would like to know what is the real date released. It was April 20 when I’d done the pre-order and it was June 30 few days ago ( it’s not Spring anymore! lol). The date seems disappear now so I supposed a new report? 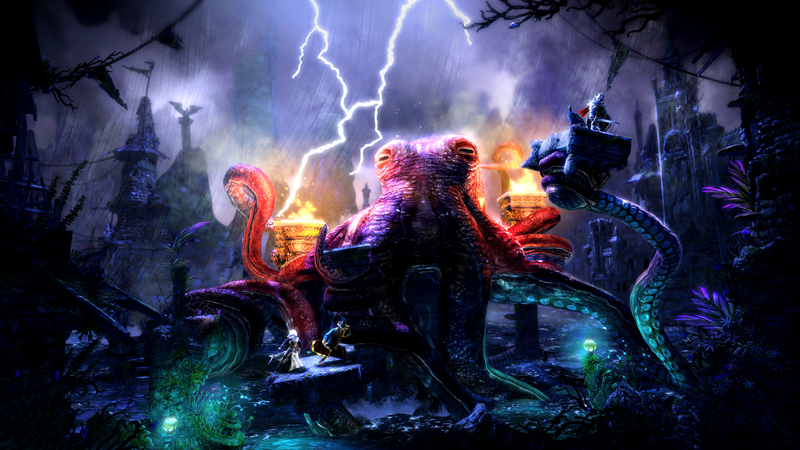 We’re still looking into the release date, the problem is that Trine 3: The Artifacts of Power isn’t ready yet. Sorry for the trouble! I hope when Trine 3 is available digitally for the switch that you offer all three as a discounted bundle like you do on Steam. Even if those of us in Europe were able to get the US physical release, I’m guessing because 3 isn’t ready yet that only 1 and 2 are on the cart, and 3 will require downloading either through redeeming a code or via update patch? Most likely the release will be just pushed back. Sorry for any inconvenience! Are there plans to release a german retail version? (love the german synchro) Would definately buy it. I can’t help but feel if Modus Games was publishing this instead of GameTrust (like they are for the other Trine physicals) I suspect Europe would be getting a proper release. In the most respectful way I can state this, the exclusivity deal is a bad business decision as it hurts consumers. I hope when you say you’re “looking into” a European release you are not saying that as it is often used as a meaningless PR phrase. I say this as someone who really wants to support select physical indie games like this but Gamestop won’t ship to me and I avoid digital versions of games where possible. Which is a shame as I’ve always wanted to try the Trine series for years. If it will not release outside of Gamestop US can you at least ask them to allow international shipping for the game to the EU? That would be a reasonable compromise. Thanks. Not a meaningless PR, we have learned to not be dishonest and I’ll forward your questions ahead. Also thanks for your support, it means a lot! I don’t have other comments right now as the release is delayed anyway, but stay tuned. There should be some versions coming up that you’ll find interesting. Cheers!